The GOES-R series is a collaborative development and acquisition effort between the National Oceanic and Atmospheric Administration (NOAA) and NASA. Lockheed Martin Space Systems designed the spacecraft and is responsible for assembly, test and launch operations as well as mission operations. 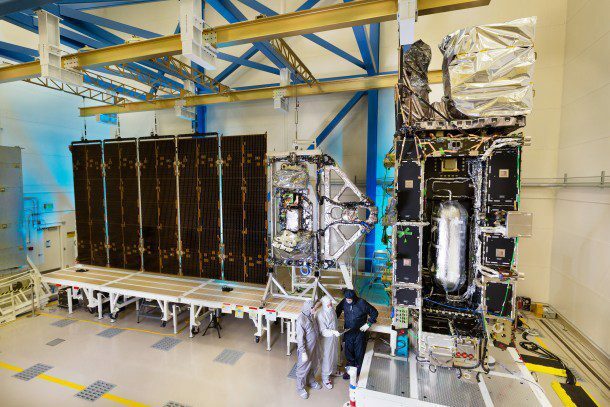 The GOES-R satellite will provide continuous imagery and atmospheric measurements of Earth’s Western Hemisphere as well as space-weather monitoring. It will be the primary tool for the detection and tracking of hurricanes and severe weather, and provide new and improved applications and products for fulfilling NOAA’s goals of Water and Weather, Climate, Commerce and Ecosystem. GOES-R also will help meteorologists observe and predict local weather events, including thunderstorms, tornadoes, fog, flash floods and other severe weather. 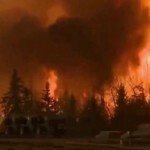 In addition, GOES-R will monitor hazards such as aerosols, dust storms, volcanic eruptions and forest fires and also will be used for space weather, oceanography, climate monitoring, in-situ data collection, and search and rescue. 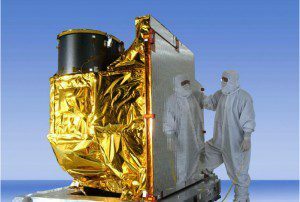 GOES-R will make available 34 meteorological, solar and space-weather products. 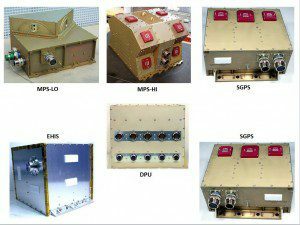 An additional 31 products may be made available as future capabilities for the GOES-R series. Visit www.goes-r.gov/products/overview.html for a complete listing. The diversity of the potential GOES-R user community is reflected in the wide variety and applications of GOES-R data and products. Larger institutional users can exploit the increases in spectral, temporal and spatial resolution, and assimilate radiances for use in prediction models, increasing the timeliness and accuracy of forecast products. Smaller public- and private-sector users will be able to obtain GOES-R data through their own Earth stations or via terrestrial network distribution. The GOES-R series, with an operational lifetime through December 2036, will maintain the two-satellite system implemented by the current GOES series. Learn more at www.goes-r.gov. 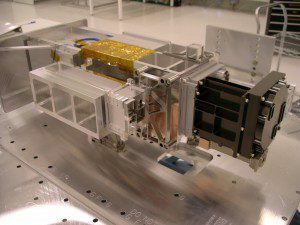 The Advanced Baseline Imager (ABI) monitors Earth’s weather, oceans and environment. ABI will track and capture cloud formation, atmospheric motion, convection, land-surface temperature, ocean dynamics, flow of water, fire, smoke, volcanic ash plumes, aerosols, air quality and vegetative health. 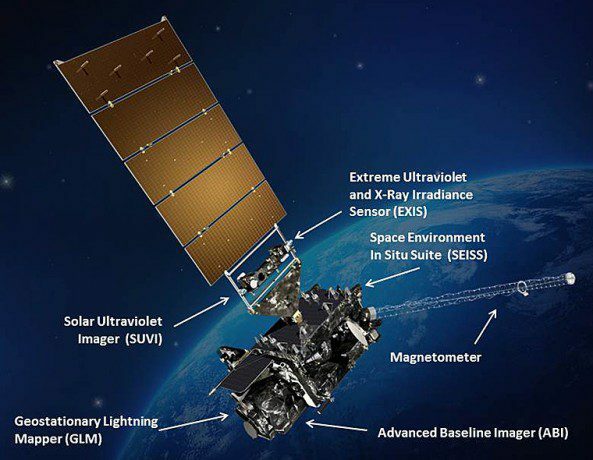 The Extreme Ultraviolet and X-ray Irradiance Sensors (EXIS) are essential to understanding and monitoring solar irradiance in the upper atmosphere. 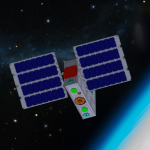 EXIS is designed to detect solar flares that could interrupt communications and reduce navigational accuracy, affecting satellites, high-altitude airlines and power grids on Earth. 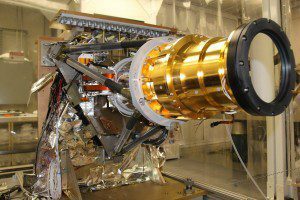 The Geostationary Lightning Mapper (GLM) instrument is a new GOES capability, supplying a near-infrared instrument that maps total cloud-to-cloud and cloud-to-ground lightning over the Americas and adjacent oceans. 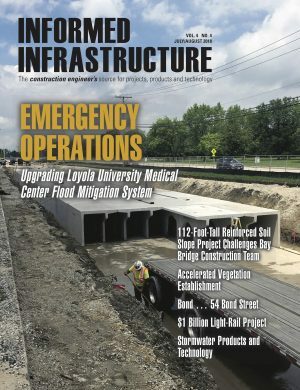 Providing improved tornado-warning lead-time and early indication of storm intensification and severe weather, GLM will deliver advanced severe-weather prediction capabilities that will save lives in storm-threatened areas. 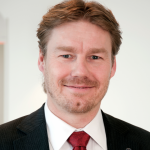 GLM also will provide data for long-term climate studies. 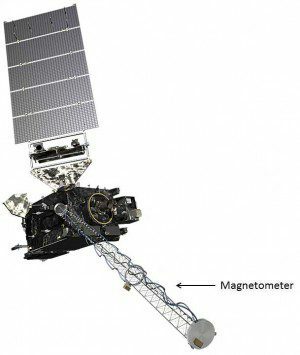 The Magnetometer will provide measurements of the space-environment magnetic field that controls charged-particle dynamics in the outer region of the magnetosphere. The geomagnetic field measurements are important for providing alerts and warnings to many customers, including satellite operators and power utilities. 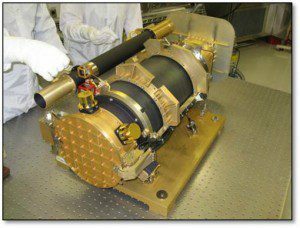 The Solar Ultraviolet Imager (SUVI) is a telescope designed and built by Lockheed Martin, which monitors the sun in the extreme ultraviolet wavelength range. SUVI will observe and characterize complex active regions of the sun, solar flares and the eruptions of solar filaments that may give rise to coronal mass ejections. The Space Environment In-Situ Suite (SEISS) is comprised of four sensors monitoring proton, electron and heavy-ion fluxes at geosynchronous orbit. SEISS also provides information to assess electrostatic discharge risk and radiation hazards.